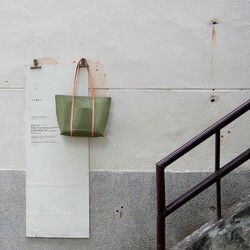 ● Tired of the lot of tote bags on the market? Want to present your own taste and uniqueness? 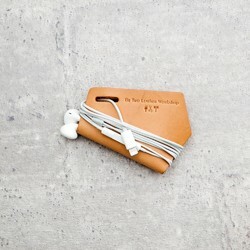 Be Two exclusive design, made in full cowhide, hand-stitched, non-mechanical mass production. 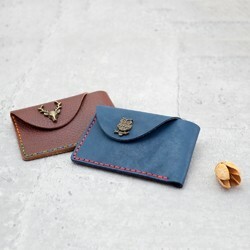 ●Strictly select natural cowhide, hand-sewn long clips, use a wax thread double stitch overlap stitching, fine stitching, and a wax line close to the two sides of leather, even if the line is broken, you can continue to use it. The durability that can not be achieved. 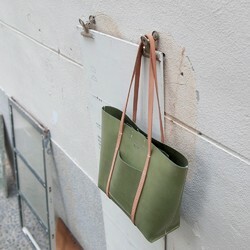 ● The young and lively design bag that creates a contrast color with vegetable tannins and green leather attracts a lot of attention. 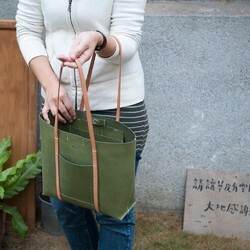 ● The full-leather tote bag is durable and has a front pocket for easy access to your belongings. 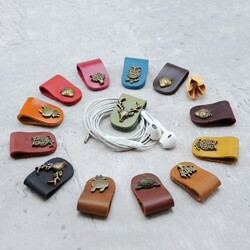 ● The surface of the vegetable tanned leather absorbs the oil on the hands and gradually becomes shiny. 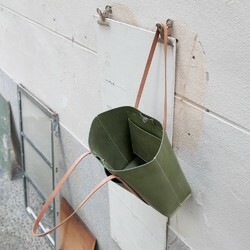 The leather color change process is very intriguing and adds a personal style. 1. It is best to take it with you! 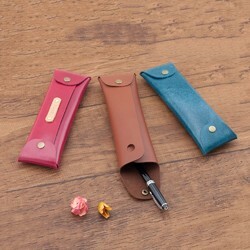 Vegetable tanned leather is rich in oil, and the leather will gradually become shiny and lustrous during use. 2. Leather products should be protected from moisture and water during use. If you accidentally get water, use a dry cotton cloth to dry, then place it in a cool place and do not expose it to the sun. 3. If the leather is moldy, wipe it with a dry cotton cloth, place it in a ventilated place, and then wipe it with leather maintenance oil. 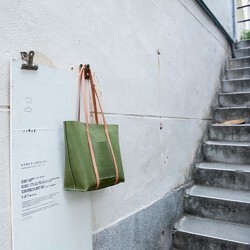 "Be Two Leather Workshop" is located in Taichung - Auditing New Village. 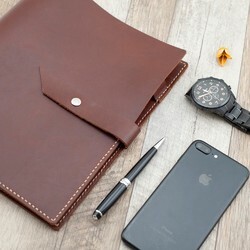 It is carefully selected as a natural leather hand, and it is hand-wrapped with original design to create a hand-crafted temperature and creative product. Sewn in a seam, I hope to convey a sense of warmth, happiness and belonging through the original products, so that the user is moved. 1. 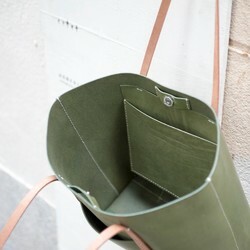 The vegetable tanned leather itself is a natural phenomenon due to injury or fighting during the growth of the animal. It is a normal natural phenomenon, and each piece is also a natural phenomenon. A unique natural mark that can accept the subscript. 2. Product photos have no post-production, but may vary from screen to screen. If there is a drop in color, the actual product will prevail. If you don't mind, please order again. 3. Custom goods cannot be returned or exchanged. 4. 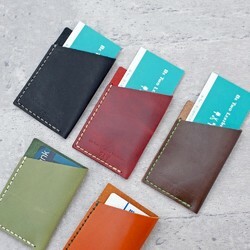 It is normal for each batch of leather to have a slight color difference. 5. Due to the hand-stitching, there will be residual glue at the end. If you don't mind, please order again. 出品数 7,206,117 点 © 2019 Creema, Inc.